Awapuni Racecourse in Palmerston North was undergoing a major upgrade. The new grandstand was built by Wilson Construction, who experienced the benefits of using Layher scaffolding for the first time. 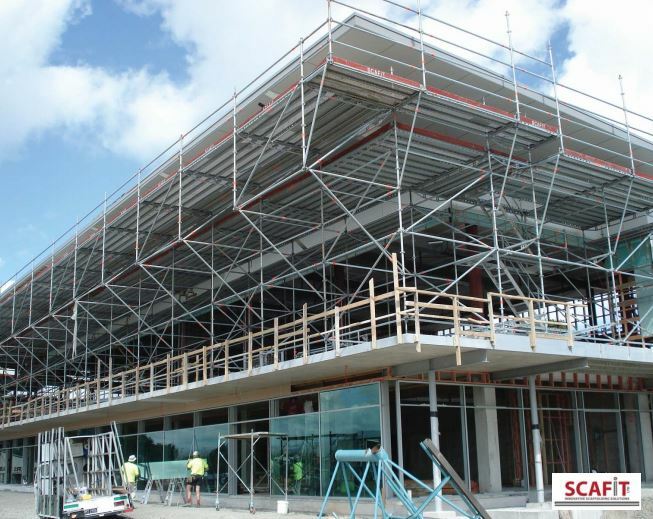 "They especially liked the level decks with no gaps, no trip hazards, and aluminium stair access," said David Crowley, Scafit Managing Director. The scaffold, designed by James Winters of Scafit, was cantilevered out 2.5m to keep the access to the ground level free while the builders worked on the soffits above.